Can set permission levels by using checkboxes. Multiple checkboxes can be selected alleviating the hassle of setting permission levels. Permission levels can be added and removed. Permission levels can be exported to a CSV file enabling users to work in Excel. Can set access permission for groups and users using checkboxes. Access permission can be added and removed. Access permission inheritance can be restored. Access permission inheritance can be recursively restored in subfolders. 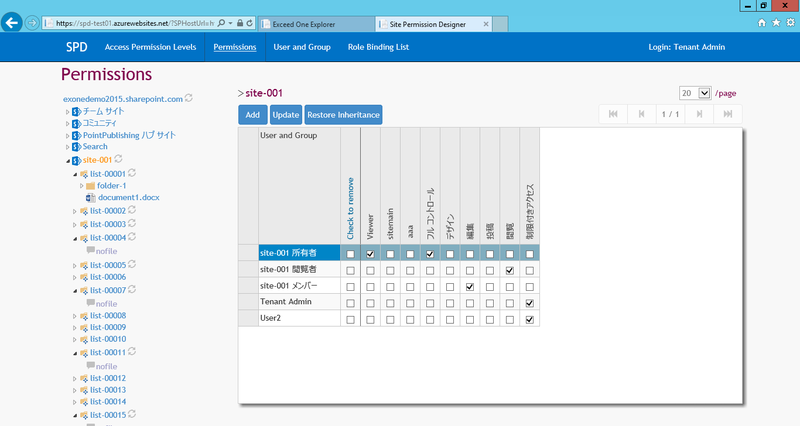 Can set group and user relations using checkboxes. Can change group ownership by selecting a different owner from the menu. 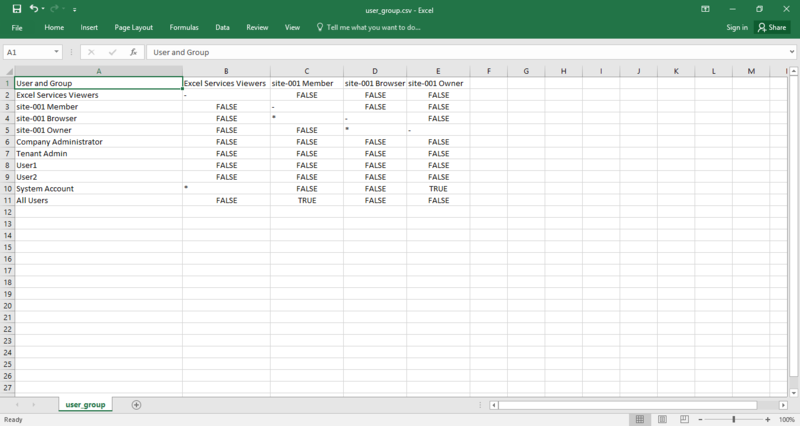 User and group access permission settings information can be exported to a CSV file enabling users to work in Excel. Access permission can be exported. 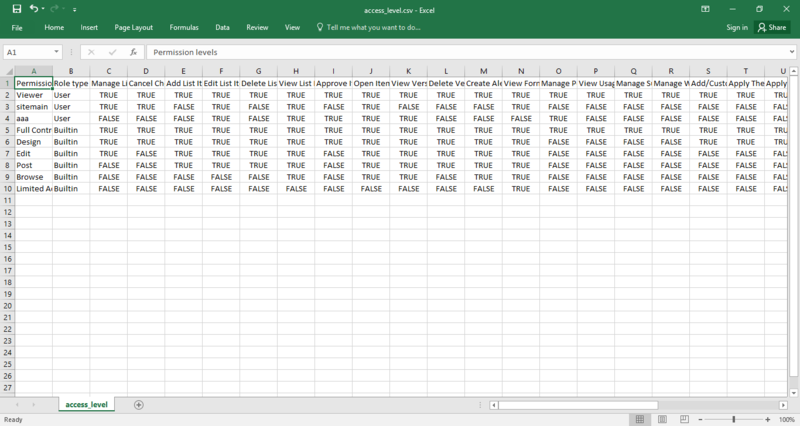 Permission lists can be exported to a CSV file as well as displayed on-screen, enabling users to work in Excel. 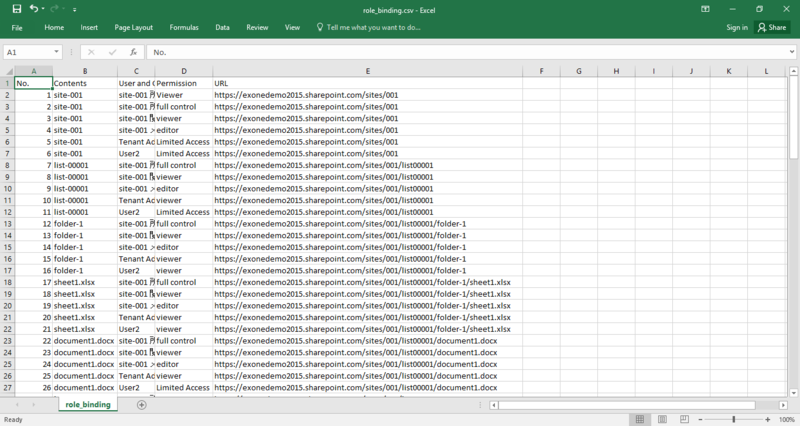 Can select key items when exporting enabling lists to be displayed and downloaded in an easy-to-investigate and easy-to-use format.